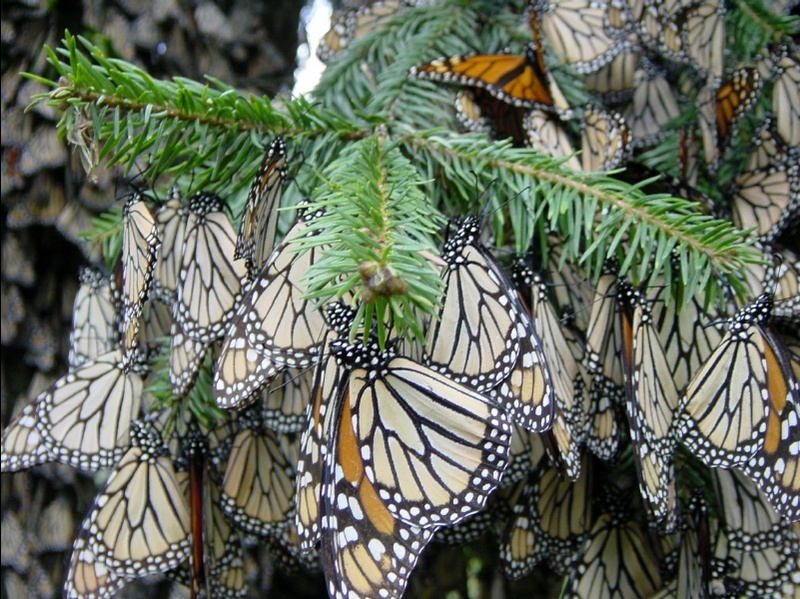 The monarch’s migration to Mexico is one of nature’s most incredible journeys. Amazingly, the same small butterfly’s story of survival during the winter months in Mexico is equally spectacular. “It’s all about staying alive, day to day,” remarked Dr. Karen Oberhauser on one of her early visits to the over-wintering sites. Year after year, she and other scientists return to Mexico to study the biological needs of the over-wintering butterflies. There’s more than a scientist can learn in a lifetime! In this series of activities, we’ll take a close look at the monarch’s winter habitat, and the adaptations monarchs have for survival. 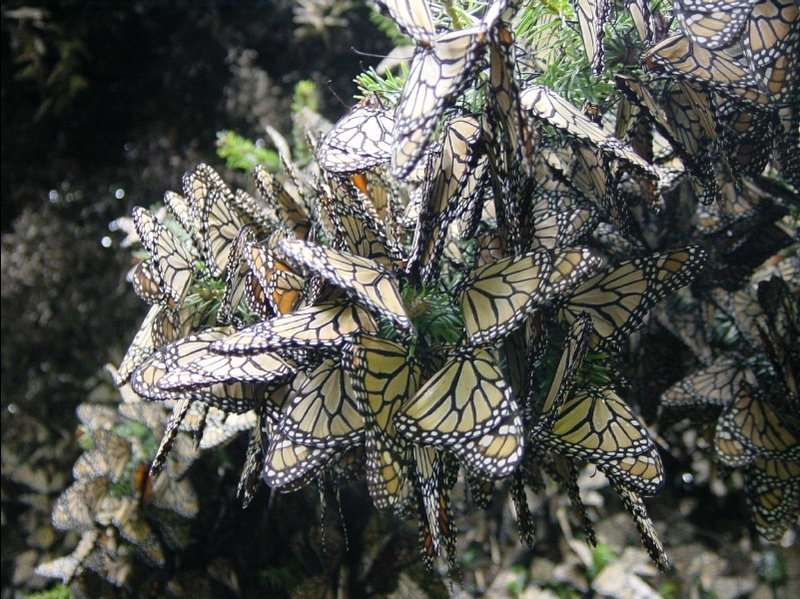 We’ll continue the theme as we travel north with the monarchs, along the migration route and into the breeding grounds. Remember, migratory animals move because their needs are not met in one habitat. What monarch needs do you suppose the monarch’s habitat in Mexico can’t provide? Can you predict what will trigger the monarch’s spring departure? Laying the Groundwork: What Do Monarchs Need? The place and conditions where all of an organism’s needs for life are met. Food, water, shelter and space are key components of an organism’s habitat. Food, water, shelter and space are key components of an organism’s habitat. Habitat is the place and conditions where all of an organism’s needs for life are met. What do monarchs need? Have a brainstorm in your class. List everything you think monarchs need. Make four columns on a chart or in a science journal. Label them food, water, shelter, space. Keep this list in a prominent place so you can refer to it regularly. Also keep a running list of questions your class generates as you explore monarch habitat. 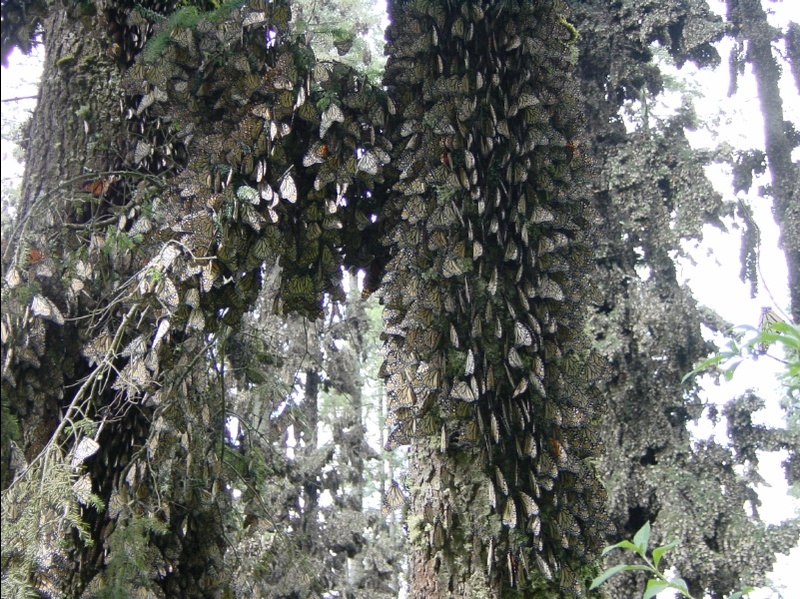 2) As you prepare to view the photos, have students imagine your class is actually visiting the monarch sanctuary region. Discuss their expectations. Say to students, Let's take a tour of the monarch’s winter home. Ask, How do you picture the area in Mexico where the monarchs spend the winter? What does it look like? What are the temperatures? Do you think it will be hard to see the monarchs? Why or why not? 3) When you're ready to view the photos say, Grab your science journal so you can take notes. As you view the photos, add to your list of monarch needs for food, water, shelter, space. Write a description of the monarch’s winter habitat, based on what you saw. Can you add to your list of monarch needs on the wintering grounds? Describe one example of food, water, shelter or space that you found most interesting. Explain why you think it is important for monarch survival. List four new questions you have about monarch habitat, one question from each category (food, water, shelter, and space). Note the new connections students make and add to the class list over the course of their monarch habitat studies. Organisms have basic needs. They can survive only in environments in which their needs can be met. An organism's behavior patterns are related to the nature of that organism's environment.